I know it’s taken me forever to get into Falling Into You even though I’ve had the book for some time now. Now that I have, I’m sad I waited so long. Jasinda Wilder’s books have this profound way of pulling you into the story and separating your world from the world in the book. 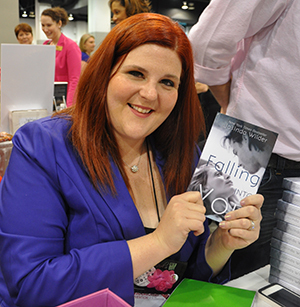 Falling Into You is an immersive story about love and forgiveness, and just pages in it has me falling in love. Nell Hawethorne and Kyle Calloway have been friends forever. Literally forever. Their birthdays are a few days apart, they grew up together, road bikes together, and went to school together. It’s not a surprise to their friends and family when they decide to start dating. Everything is going perfectly for the couple, until a horrible accident takes Kyle’s life too soon, leaving Nell empty and filled with regret. When Nell meets Kyle’s older brother Colton, who she’s only met briefly several times in her past, she notices that both of them are struggling with the loss and this spark of attraction they have for each other. Two years later, at a chance meeting, feelings resurface and Nell still hasn’t forgiven herself for Kyle’s death. Colton feels it’s his duty and responsibility to help her grieve and get over the loss before it kills her, while at the same time battling his growing feelings for her. Together they help each other, they heal, and eventually fall into each other. There is a lot of intense emotion in this book. More than I realized. It’s so easy to get lost and get swept away by the happy moments and the utterly bad moments. There were more times than one I just wanted to put the book down and walk away from a minute, but at the same time there were moments when pain and nothing is all you can feel and like Nell you just have to keep reading and go through the motions. All you can do is feel for her after Kyle’s death. You want to comfort her, hug her, or tell her things are going to be alright and its natural to feel the way she does, but you know it really isn’t going to help. The feeling of her heartbreak is just too real for words. I found Colton to be a really interesting and mysterious. He’s definitely secretive and hiding something from Nell, especially since he seems to know a lot about loss and grieving. It feels like he’s supportive of Nell’s actions (her drinking and wallowing in self-pity), and at the same time he’s just doing his best to cope in his own way. One thing I know is that when grieving it definitely helps to have someone with you. Not someone to tell you to feel better or that it’ll be easier. Someone who’s just there. Colton is exactly that for her. He’s her rock, her support, and I think in a way she’s his too. “You can’t hold it in forever,” Colton said, apropos of nothing. “Yes, I can.” I had to. “Better crazy than broken.” I wasn’t sure where that came from, hadn’t thought it or meant to say it. The change in perspective isn’t as refreshing as you think it would be. Colton isn’t as hung up on Kyle as Nell is years after his brother’s death. That doesn’t mean he’s inconsiderate, he’s just moved on a lot faster than she has. Only when he sees her again do these feelings resurface. How he misses his brother and feelings he has for Nell that he can’t have or can’t explain. She pushes past me, tilts her head to the side and peels her hair free from the braid, kicking off her flip flops. “There is no us. There never was and never will be.” I don’t answer that, because she’s right. But so wrong. There will be an us. She just hasn’t seen it yet. She’ll resist it, because it’s so wrong on so many levels. I’m her dead boyfriend’s older brother. And she knows nothing about me. I’m bad for her. She’s underage, and I shouldn’t encourage her drinking. She’s obviously using Old Man Jack to cope, and I understand that all too well. But she’s still only twenty, which is just too young to be drinking like that, straight from the bottle like a jaded alcoholic. Another thing about Colton or perhaps this story, is the surprising and instant attraction he has to Nell. I wish it was explained a little more, or just something more substantial than love at first sight. I’m sceptical, so as cute as it is I just don’t believe in it in real life. I’m gonna end up in jail. I make it through the song, but barely. Kelly sends over a shot of Jameson with a waitress. I down it, nod at Kelly. She gives me a questioning thumbs-up? Am I good? I nod, lying. I’m not good. I’m really, really bad. I’m gonna start a fight tonight. I’m gonna get hurt, and Nell is gonna be pissed and Kelly is gonna be pissed. I should leave. I owe Nell nothing. I don’t own her. I don’t have a claim on her. Sure, she never said anything about a boyfriend, but then, we didn’t really talk much, and I didn’t ask. It didn’t cross my mind. I almost feel bad for saying this, maybe because I haven’t been in love or lost someone so precious, maybe because I’m heartless or cynical about everything, but Nell does A LOT of crying, running away, and blaming of herself. It’s a bit annoying. But again that’s because I really can’t understand her pain and that isn’t anyone’s fault. For me, the emotion just falls through. I get that she blames herself for Kyle’s death, and we all go through the WHAT IF motions in our head, but wasting our time thinking about these moments isn’t going to bring our loved ones back, and it isn’t going to make you feel better about yourself. I’m sure it’s hard to move on when you feel as if you’re at fault, but two years is an awfully long time. I wouldn’t let my best friend grieve for that long and I don’t think Nell should either. Despite how Nell and Colton constantly come up with ways that they SHOULDN’T be together, let me just saying CHAPTER 9 is….HAWWWWWWTTTTT!!!!!!!!!!!!!!!!!!!!!!!!!! like I had to stop reading and put the book down for a bit HAWT. And then it goes from hotter than sin to really….really super serious…. Like you-could-hear-a-pin-drop-please-someone-hold-me serious. And then you know Colton has been through a lot trying to face his own demons. Making it to the end I feel this overwhelming sense of calm….despite the fact that my heart is still thumping from the pain and the love these two have for each other. 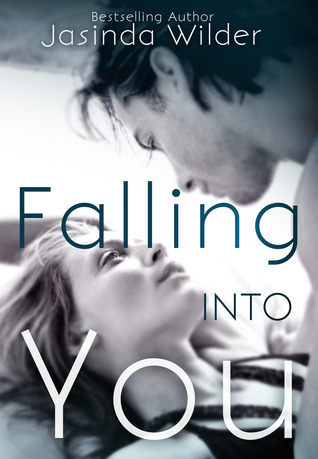 Falling Into You is beautifully romantic as well as well as beautifully heartbreaking. A wonderful and definite must read, from start to finish.